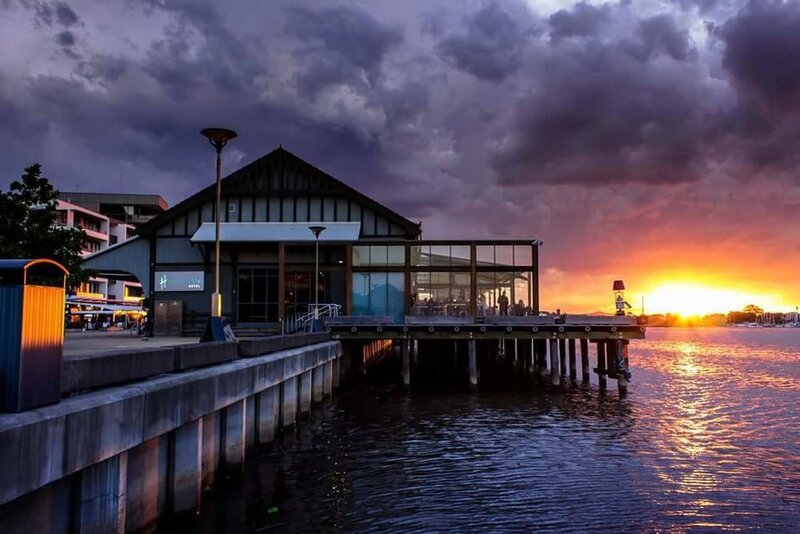 The Honeysuckle Hotel has a unique combination of heritage features and the latest in modern and stylish trends bringing together two beautiful styles into one spectacular venue with impressive harbour views and waterfront dining. Our Bistro offers high quality, locally sourced food with professional and friendly service. With our excellent team of experienced and passionate chefs we offer everything from weekly specials to our famous crispy skin barramundi. Our hotel is the perfect venue to suit all your function or event needs. No matter what you are planning our team at the Honeysuckle know how to make your special occasion happen without fuss. The Honeysuckle Hotel is a great supporter of the Newcastle Knights as well as the local Newcastle Jets. Come on in to watch their games played on one of our 3 x large screen TV's. A little history on The Honeysuckle Hotel and the surroundings; The hotel was built in 1910 to serve as a general cargo wharf for the port of Newcastle. The shed was designed to load goods into railway wagons and by the 1900s Newcastle was the 5th largest port in the world. The Hotel is located on Honeysuckle Drive with several amazing attractions close by: Newcastle Museum, Civic Theatre, Stockton Ferry, Newcastle Foreshore, Nobby's beach, Dixon's beach and Merewether beach. For our regular visitors we are within 5 mins walk to the Honeysuckle Light Rail station or the Newcastle CBD. We are also located 20 mins from Newcastle Airport, Lake Macquarie and Nelsons Bay. Honeysuckle's suggested accommodation includes Rydges, Quest and Chifley Apartments which are only a short walk away. Honeysuckle Hotel restaurant is open 7 days a week for lunch and dinner as well as breakfast on the weekends. We serve creative and modern pub food at an affordable price. We offer a great value lunch menu during the week and for family friendly dining our fun kids menu will keep the little ones happy. Our delicious weekly and monthly meal deals are a regular feature on our menu. There is something for everyone here at Honeysuckle Hotel. Overlooking Newcastle Harbour, Honeysuckle Hotel boasts a chic combination of modern pub food, state of the art TAB for punters and Newcastle's biggest T.V screen’s for all the sports enthusiasts. Our extensive beverage range and excellent customer service makes Honeysuckle Hotel a favourite spot to catch up with friends, enjoy a drink and relax in our spacious surrounds. Our newly launched Rum Bar has an extensive range of rums, cachacs and premium vodkas. Our range has been sourced locally and internationally from the UK, Africa and Brazil, to name a few. Trip through exotic regions of the world experiencing a variety of flavours and colours from our vast range found right here at the Honeysuckle Hotel. You can try at your own pace or be guided by our friendly staff.